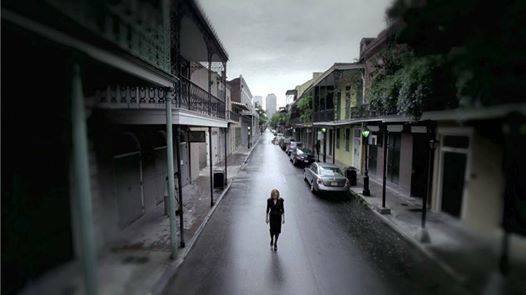 HomePosts Tagged "american horror story"
See real-life sites from the show and find out where the cast hangs out in New Orleans. 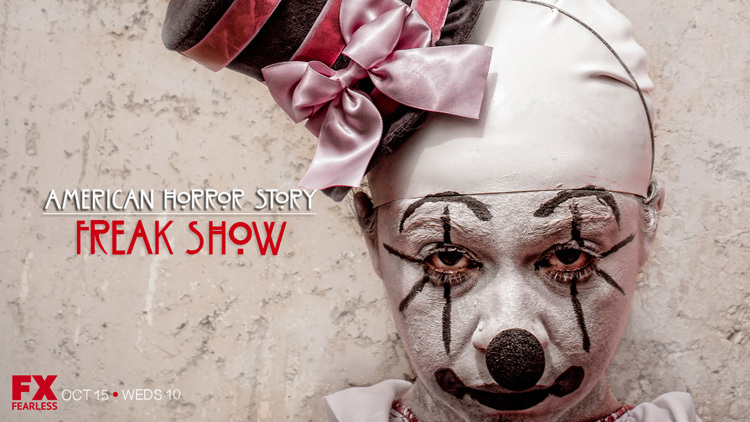 Think it's safe to say we're all terrified after last night's opening episode of "American Horror Story: Freak Show." 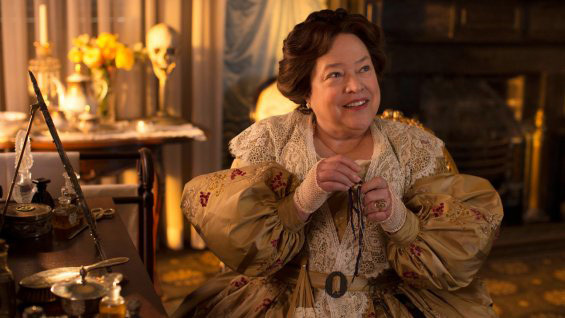 Sarah Paulson with two heads, Evan Peters with lobster hands and Kathy Bates as the Bearded Lady were a welcome respite from Twisty the Clown, who is sure to reappear in viewers' nightmares all season. We live tweeted the show with @AynW and @NewOrleans (where the show if filmed even though it's set in Jupiter, Florida). The clown scared the pants off just about everyone, and Jessica Lange wowed us with her version of David Bowie's "Life on Mars." 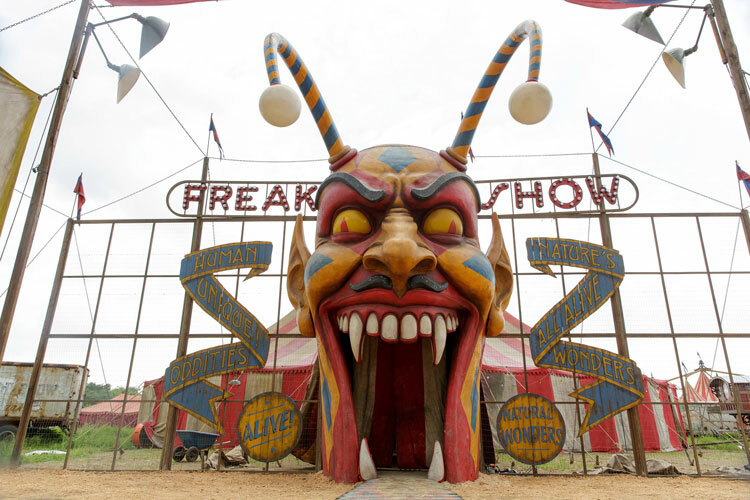 If last night was any indication, "Freak Show" is going to be the creepiest season yet — and possibly the best. Show creator Ryan Murphy dished to Entertainment Weekly about the new season of "American Horror Story" recently. He talked about where the idea for the show came from — Jessica Lange's interest in the lost and forgotten carny world — the plot as being a version of civil rights for performers, John Carroll Lynch as Twisty the Clown and the lack of a supernatural element. Let's face it, clowns are terrifying enough. Murphy told BuzzFeed that Twisty was created to be the most terrifying clown of all time and admits he's a bit scared of Twisty/Lynch himself. "I’m worried about people being too afraid of our clown," he said. "It’s heart-stopping what he does. I’m worried that people are going to have cardiac arrests … The clown’s intro in the first episode is … It’s brutal." 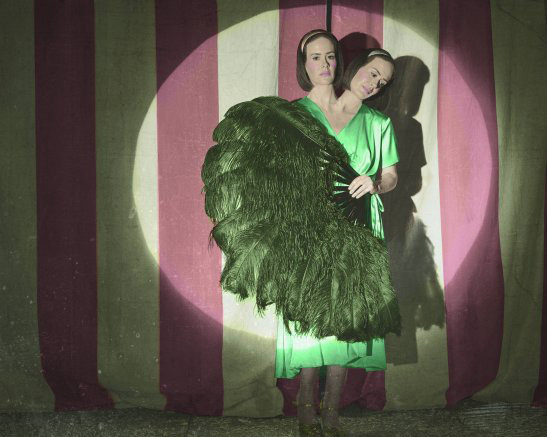 EW also has a slideshow of 21 new photos from Freak Show, and you can hear Jessica Lange's German accent as Elsa in the clip below. 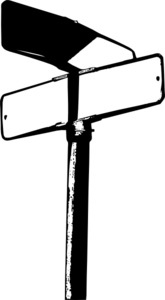 Stay tuned for more updates, live tweeting with @AynW when the show airs October 8 and the return of our location guide. Go under the tent in this season's carnival thrill ride premiering October 8. 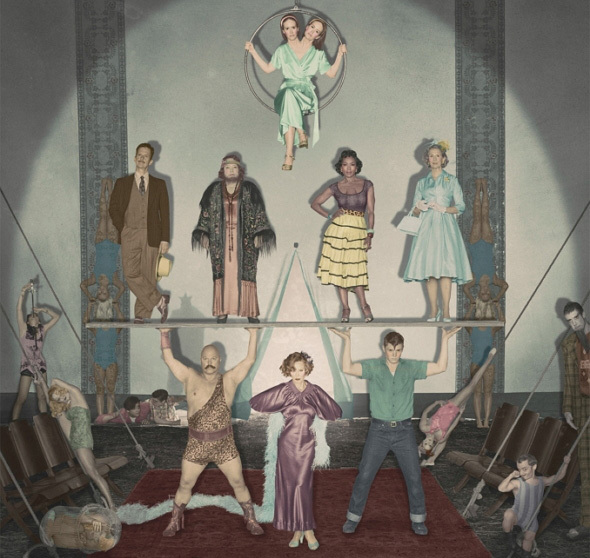 Characters and season details on "American Horror Story: Freak Show" revealed at Comic-Con over the weekend. 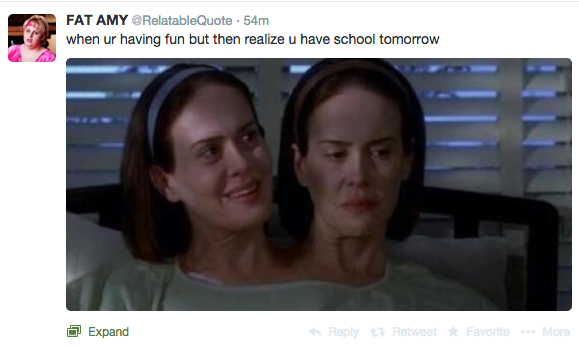 Return of American Horror Story & An Engagement? Emma Roberts and Evan Peters rumored to be engaged as filming for Coven starts back up in New Orleans.